a showcase of my experience in different technologies like SQL Server, C#.NET, SSAS, SSIS, Microstrategy etc. I am just learning DQS and would like to share a few things that I learned so far. One of them is the use of composite domains (CD). I will go straight into an example rather than wasting time on definitions. You can find lots of them in MSDN. Now, you like to correct the values of the ‘won_by’ column using DQS. As, u can see, the value of the field ‘won_by’ depends upon the other two columns. That’s why we need a composite domain(CD) in DQS. Because, we are dealing with cross domain relationships here. 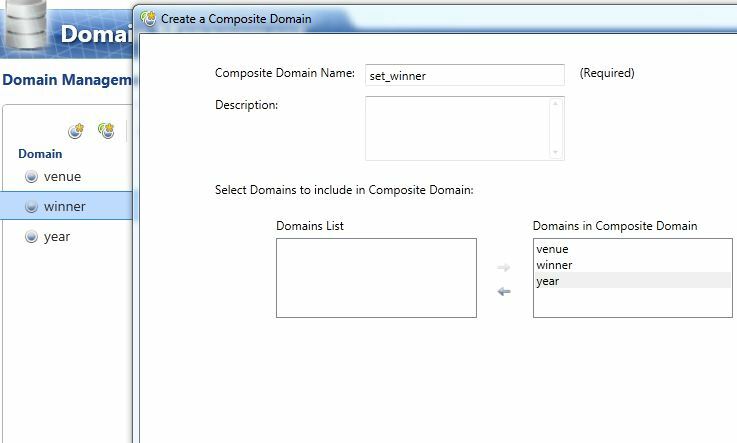 Now, in the domain management section of your knowledge base (KB), create 3 domains called venue(string), year (int) and winner(string). 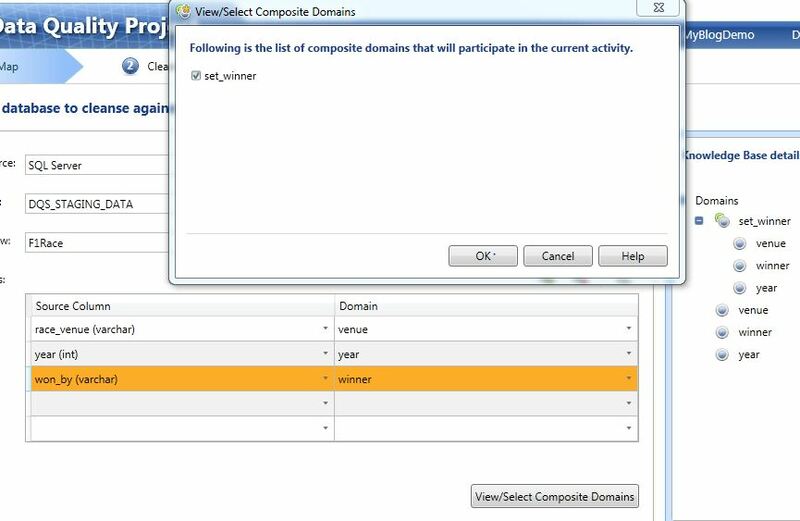 Now create a CD called ‘set_winner’ combining all the 3 domains. In case, u r travelling the same troubled path as I did and wondering how to add another domain name/clause in the “IF” section of the rule, the solution is ‘clicking the right button’. If u click on right button, u will see an option called “Add Clause”. So, u r done with the setting up of domains. It’s time to create a new data quality project(cleansing project). After u create a new project, map the 3 columns with the 3 domains. Don’t forget to include the composite domain before start processing your data. Team Lead at IQVIA (www.iqvia.com). Fields of expertise are C#,BI Reporting (MSBI, Microstrategy, Excel, ASP.NET Dashboards etc.) , ETL, Data Warehouse, OLAP Cube, MDX etc. This entry was posted in Data Quality Service (DQS) and tagged CD, cross domain, data quality project, domain management, DQS, rules. Bookmark the permalink.